Yes, paradoxes are still possible. That green light is always powered in every step of the loop (alternately gets power from top and bottom) so it settles to powered, even though neither top or bottom settle to powered. Even more striking if you have orange lights on either side of the green that show up as not powered. Or even better, a trap door that looks like it is powered from "off" electric floors on both sides of it. 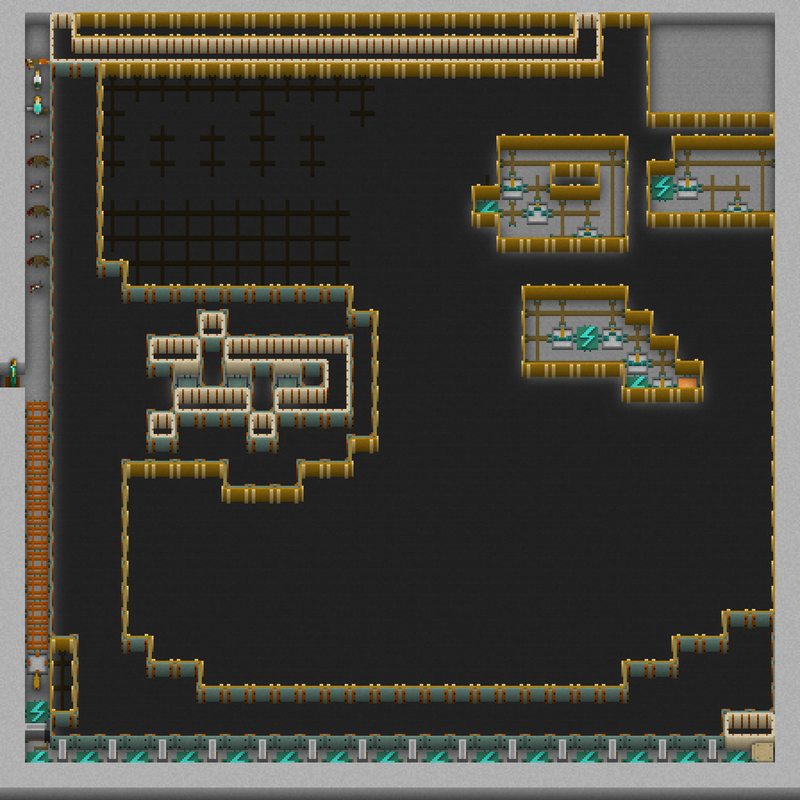 To be honest though I do think wireless transmission has a place in Castle Doctrine. 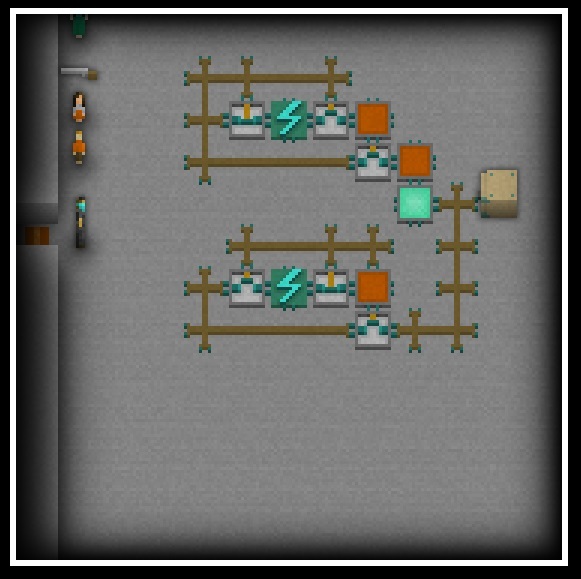 I don't consider myself any sort of authority (haven't yet had a house worth more than 2k ) but wireless transmission solves the wired wood walls vulnerability in the top-houses and makes electronics a bit less of a hassle for all players. I think that the main exploit was not really even wireless transmission so much as it was the "electrobreaker" issue. Players should not be able to defeat logic in that way, but I haven't seen an example of wireless transmission (that does not defy logic) causing much grief for players. I mean, the wired wooden walls vulnerability may be something Jason wants to keep, or maybe it could be solved by wired metal walls and wired concrete walls, but the utility of wireless signals is really useful. I'm fairly certain he does. The reason I say that is because steel walls used to conduct and they were changed specifically to increase the vulnerability of conducting walls. You didn't even give us enough time to wrap our heads around it. OK, to rustle a few more jimmies one last time, here is my v33 house. It's gone, so don't worry. I think he means it's what he had left over from V32, so you just had to brute force through.